This is the first of two volumes of a handwritten anthology of familiar poems by eighteenth-century authors such as Swift, Dryden and Pope. 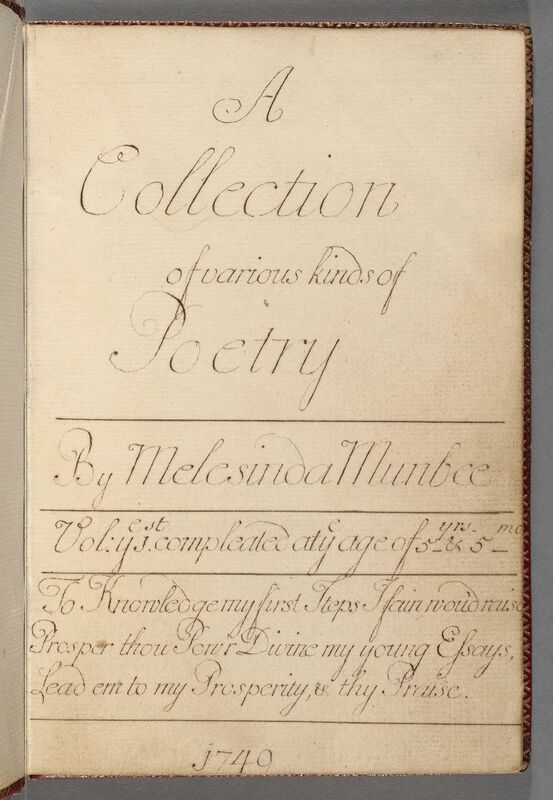 Melesinda dedicated it to her father Valentine Munbee, who taught her to write. Did a five-and-a-half-year-old accomplish this work herself? Did she also write the florid dedicatory poem that begins the two volumes? Or did another hand inscribe this work in her name, and to what purpose? I’ve pursued every trace of this family without finding answers to these questions, but hope they will lead to other paths of inquiry.